Representing a new generation of designers in Japan, Kenya Hara (born 1958) pays tribute to his mentors, using long overlooked Japanese icons and images in much of his work. 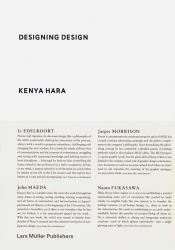 In Designing Design , he impresses upon the reader the importance of emptiness in both the visual and philosophical traditions of Japan, and its application to design, made visible by means of numerous examples from his own work: Hara for instance designed the opening and closing ceremony programs for the Nagano Winter Olympic Games 1998. In 2001, he enrolled as a board member for the Japanese label MUJI and has considerably moulded the identity of this successful corporation as communication and design advisor ever since. 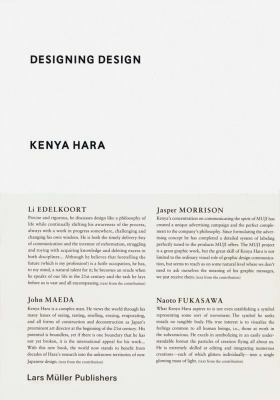 Kenya Hara, alongside Naoto Fukasawa one of the leading design personalities in Japan, has also called attention to himself with exhibitions such as Re-Design: The Daily Products of the 21st Century .